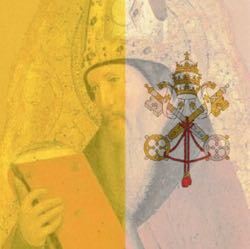 Lately, the Papacy is either an obstacle or a token in the mind of the factions of the Church. If the Pope is emphasizing teachings that go against the ideology of the faction, then he is seen as an obstacle. But if he says what one happens to agree with, then he is a token to use to claim that one’s own ideology is the true meaning of the Church. Neither faction shows obedience when the Pope says something they dislike. Dissent is justified if a Catholic disagrees and unjustified if the Catholic agrees. Because of this, it is a mistake to think that faction X is less of a problem than faction Y. When they misrepresent Church teaching, the faction causes harm by misleading others to think that the magisterium is a faction to be swayed. The Church is neither conservative nor liberal, though various Church teachings have superficial similarities to ideologies. Church teaching is based on the two Greatest Commandments: Love God, and Love your neighbor as yourself. Loving God means we cannot live in a way contrary to what God calls us to be. Loving our neighbor as ourselves means we cannot do the evil we do not want others to do with us. And combined they mean we cannot choose a means contrary to God in interacting with our neighbor nor think that mistreating a neighbor is loving God. Our agendas stand as a stumbling block to these Greatest Comandments. When we try to explain away absolute prohibitations in the name of “love,” we are not loving our neighbor who does those things. When we use God’s commandments as an excuse to hate, we are not loving God. To love God and our neighbor is to do what is objectively right and to show mercy when others fail. It’s not to choose one and neglect the other. It’s not to claim or imply that the Pope, bishop, or priest is neglecting God’s teaching by giving a command to be merciful in application or to defend an objective teaching. Unfortunately, too many interpret Church teaching according to their ideology, accepting or rejecting a teaching depending on one’s own preferences and claiming obedience is wrong when obedience is against what one wanted to do in the first place. The problem is, the Church is the pillar of truth (1 Timothy 3:15) that binds and looses (Matthew 16:19, 18:18) and to reject the Church is to reject God (Luke 10:16). When the Church teaches, we are bound to give submission, even when the teaching is from the ordinary magisterium. We are not the ones who judge the teaching of the Church, saying what we will and will not follow. If we profess to love Jesus, we will keep His commandments (John 14:15) and not find excuses to disobey. The person who selectively cites the Church in order to defend an agenda does wrong. We profess the Catholic Church has the fullness of truth, after all. We profess that God will remain with His Church always (Matthew 28:20). Therefore we must be willing to constantly reassess our preferences compared to how the Church applies her teachings to the needs of this age. Unfortunately, many think that saying that X is a sin is (or should be) a hatred of people practicing that sin. From this, they justify a behavior at odds to what we believe through either laxity or severity. But this view is refusing the teaching of Christ. It thinks that “I would not act that way if I was God,” and ignore the fact that we are not God. We can strive to understand what God teaches and apply it in each age, but we do not have the authority to turn God’s no into a yes (or vice versa). When there is a conflict, it is the Church that judges our views not us that judges the Church. So, when I see people treating the Pope like an idiot because he stresses mercy; when I see people treat the bishop as left wing and right wing simultaneously because they teach on how moral teaching is applied, I see a people who have forgotten what the Church teaches, calling evil good. We must avoid this if we would be faithful to God.